Rich qualitative insights bring your data to life by revealing your customers’ goals, roles, spaces and places – all the contextual and subjective factors that drive human behavior. Find the people behind the numbers and the why behind the what. See the patterns and connections. Get immersed in your customer’s world. Rich qualitative insights can bring your big data to life – through understanding goals, roles, spaces and places – all the contextual and subjective material that drives human behavior. We’re passionate about finding insights using the most current methods, combined in customized ways. We have a full menu of methods and we’re learning – or creating – new ones all the time. You don’t have to be a methodology expert, because we bring that to the party. Let’s work together to select the best approaches for your objectives, your target group, your timeline and budget. Video snippets and text messages are just two of the digital approaches we use to transport you into your customers’ world. Like a focus group on steroids. Watch what happens when you bring your project team and your customers together in the same room, all engaging in insight activities and projective exercises. An instant debrief after will see us working collaboratively to process the nuggets of insight. A fantastic research method for consumers and for businesses. These programs can run anywhere from a couple of days to several months, and always provide incredible depth of learning. 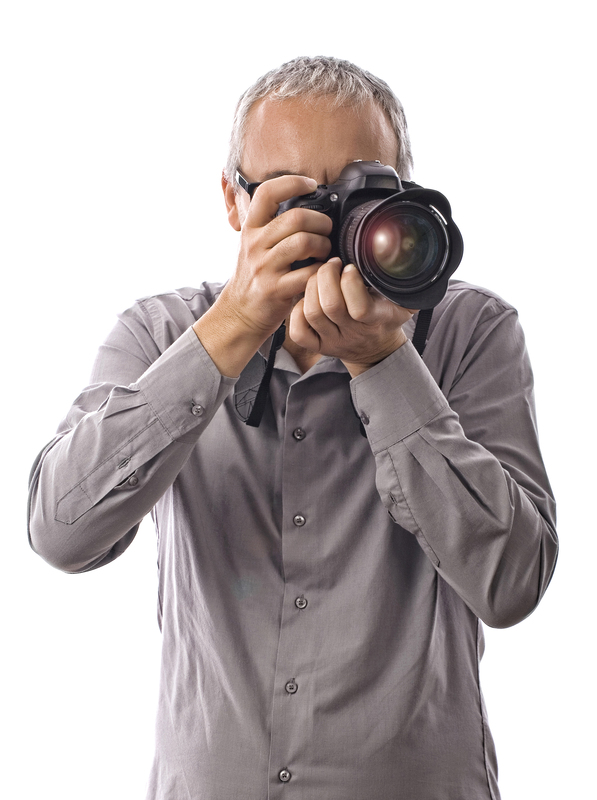 In-depth interviews with exactly the right individuals can enhance any project. We’ve interviewed real-estate industry gurus, boards of directors, tax specialists and systems integrators, to name just a few. If your customers are business executives, we will treat them with special care, but we will still get the insights for you! With mobile devices, getting into your customer’s world is easier than ever. We’ll bring together multiple methods as a comprehensive way to offer a 360o view. Learn how to listen for insight. Learn the top things to look and listen for when observing research. 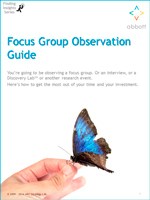 Get our free Focus Group Observation Guide today! How can we create world-class service training for contact centre employees? We were asked to conduct a series of focus groups to support the custom training being built by another consulting firm. Our proposal: instead of just talking to customers, why not bring in a video operator to capture real customer stories? Net result: instead of using actors to portray typical service encounters, real customers told real stories that were used in the creation of training modules.